The Senate minority leader and immediate past governor of Akwa Ibom State, Godswill Akpabio, is said to have been pivotal in the selection of Mr. Emmanuel Ukuwem as the new Akwa Ibom State secretary to the state government. Based on intimate knowledge of the selection process, an intense horse-trading took place in the process that led to the emergence of Dr. Emmanuel Ekuwem as the new secretary to the state government. The new SSG, a technocrat who is nationally and internationally recognised as a foremost telecommunications genius and had served as a former president of the Association of Telecommunications Companies of Nigeria, president of Nigerian Internet Group, the immediate past board chairman of the Nigerian Export Processing Zone Authority (NEPZA) and until his appointment, the president of the Teledon Group, hails from Ofi-Uda in Mbo Local Government Area of the Oro Nation. An insider Source privy to the in-house politics revealed that the deal to appoint the new SSG was brokered sometime last year, “the last quarter of last year to be precise”, at a high-powered meeting which took place at the A-Line, Ewet Housing Estate residence of the Senate Minority Leader. In attendance at the meeting were the State Governor, Udom Emmanuel, Senate Minority Leader, Senator Godswill Akpabio, Hon. Nse Ntuen, and the House Member representing Essien Udim State Constituency, Barrister Ibanga Akpabio who is the current Commissioner, Ministry of Labour, Productivity and Manpower. At the meeting, it was agreed that the immediate past SSG, Etekamba Umoren was to be replaced, haven stayed for more than two years. 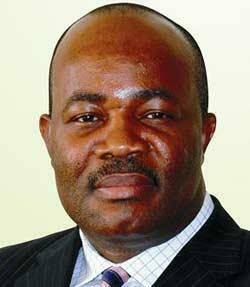 The post Akpabio pivotal in Ekuwem’s emergence as A/Ibom new SSG appeared first on Vanguard News.